A carving of Paikea, the ancestor of the people of Whangara, East Coast, who believe he came to New Zealand on the back of a whale. 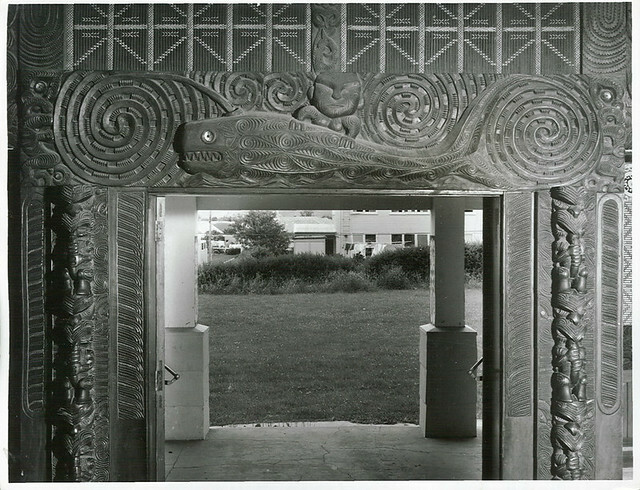 The carving is in the Poho-o-Rawiri meeting house at Gisborne. DigitalNZ brings together more than 30 million items from institutions such as Archives New Zealand Te Rua Mahara o te Kāwanatanga so that they are easy to find and use. We added this one from this URL on 18 March, 2017, and last updated what we know about it on 18 April, 2019.